in Dr. Funk's Christmas Explosion. 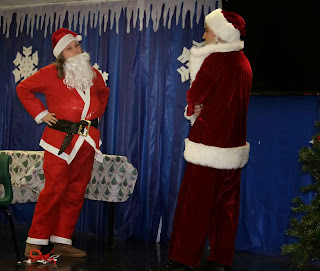 The High School Drama Club performed the Christmas production, "Dr Funk's Christmas Explosion" on Thursday, December 19. The production consisted of three short comedies. The audience enjoyed sweets and sandwiches between each skit. 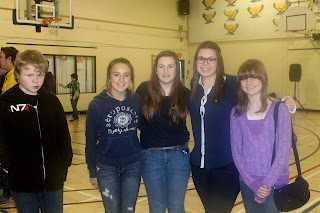 The production, with a cast of ten students, was directed by Grade 12 student Candace Purcell. 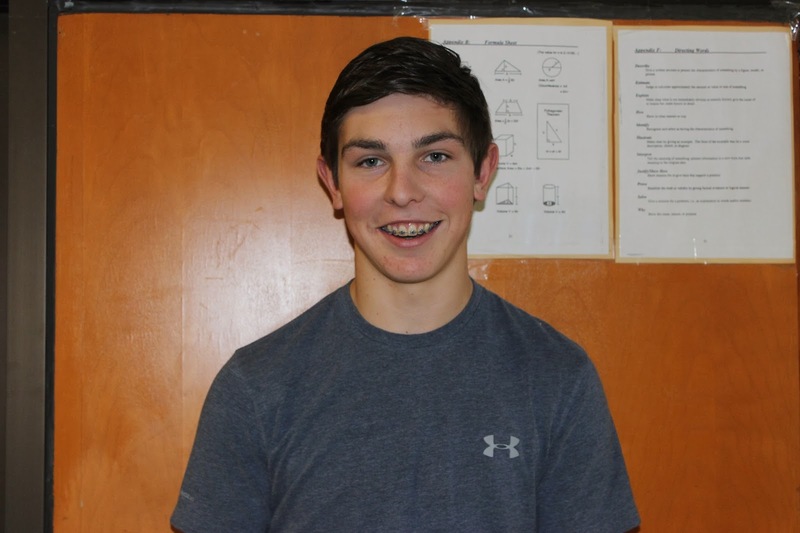 This week's student of the week goes out to Tristen Pitre. 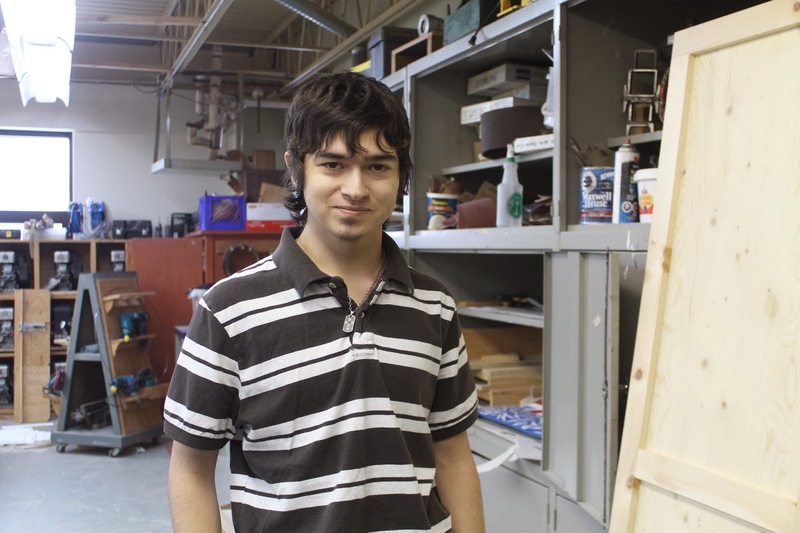 Tristen is a grade 12 student that works very hard in all his classes and was nominated by Mr. Grattan. 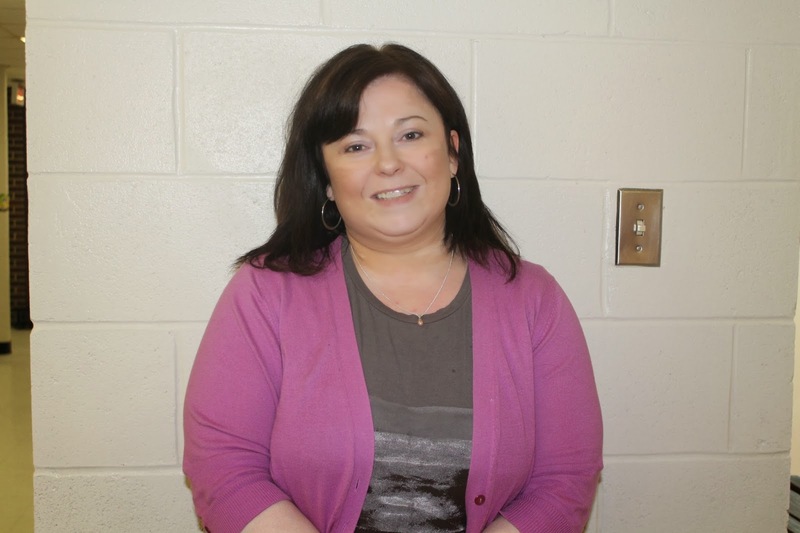 Teacher of the week is Mrs. O'Keefe. 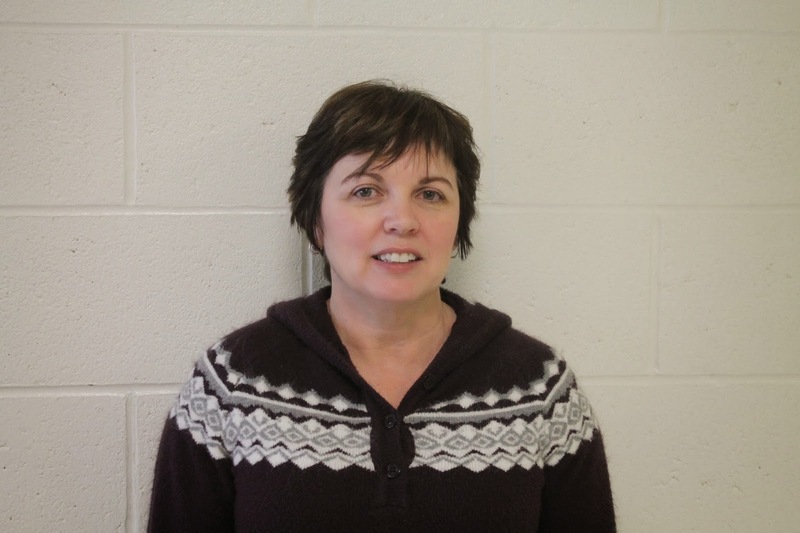 We asked Mrs. O'Keefe where she studied, what she likes best about her job and what she likes to do on her spare time. 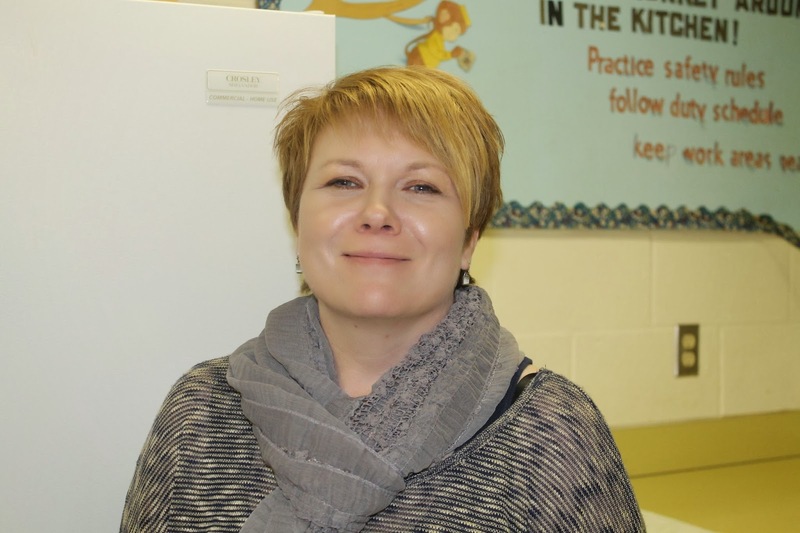 She said "I studied at UNB, my favorite thing about my job is the students and in my spare time I like to spend time with my family." 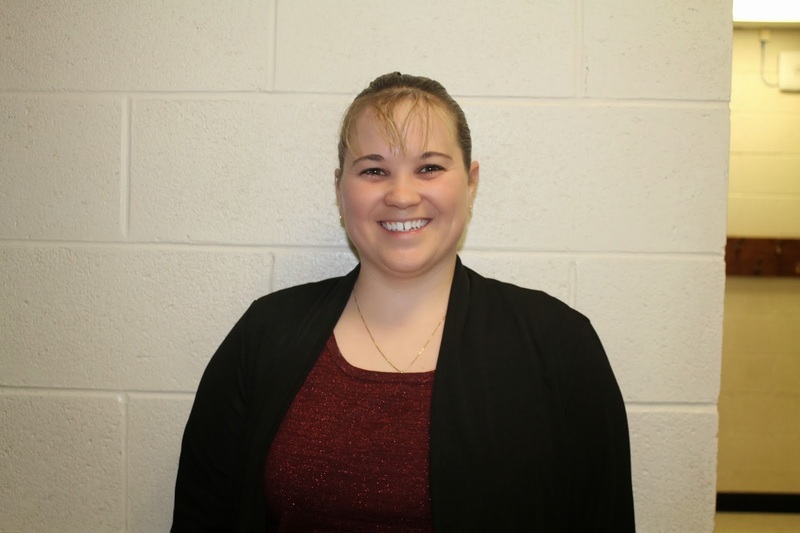 This week's staff of the week goes out to Diana Hallihan. Diana got chosen for staff of the week because of her hard work as a custodian. We asked her what she likes best about her job and what she likes to do in her spare time. 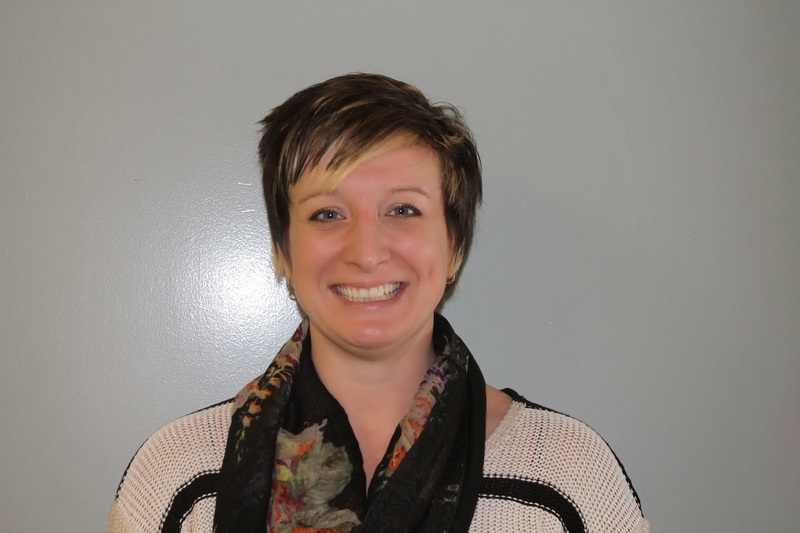 She told us "what I like best about my job is meeting all the new students and in my spare time I like to do outdoors activities with my family." In late November of this year, the students of Blackville School had rallied together in an attempt to raise both awareness and funding for the Josie Foundation. The Josie Foundation is a local, non-profit organization that provides financial relief to those who are battling a chronic illness. 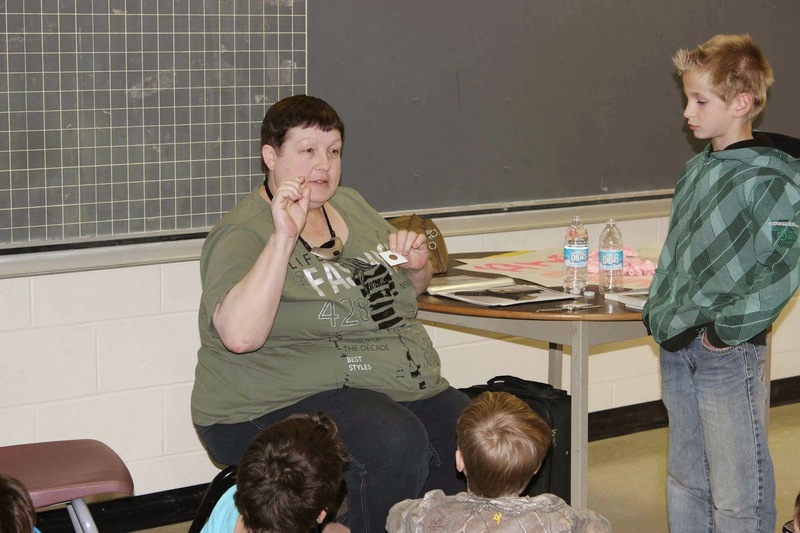 Through a number of fundraisers, such as bake sales, money drives and contests, a total of $1000.00 was raised. This money will go towards helping families who are in a difficult financial state due to having to deal with the stresses associated with having a chronic disease. Jake Stewart, the local MLA and founder of the Josie Foundation, is scheduled to make an appearance at the school and accept the donation. 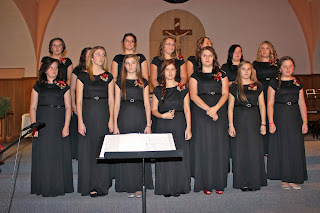 The Music in Memories Concert was held at St. Bridget’s Church in Renous on Saturday, December 14. The concert featured many vocalists and musicians, such as Natalie Munn, Beverly Curtis, Ian Craig, and even Blackville School’s very own Girls’ and Elementary choirs. The concert was well attended and enjoyed by all. Both performers and guests deemed the event a complete success. Guests were entertained by Christmas classics such as the serene “Have Yourself a Merry Little Christmas,” to more jolly tunes such as “Candy Cane Christmas,” which made the evening enjoyable for all who had attended. The organizers wish to extend an appreciative thanks to all who came to be a part of such a special evening for our choirs and the other performers. 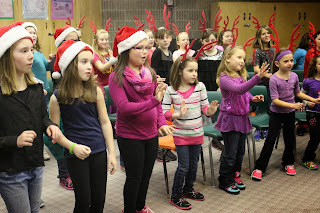 Christmas concert on December 17. 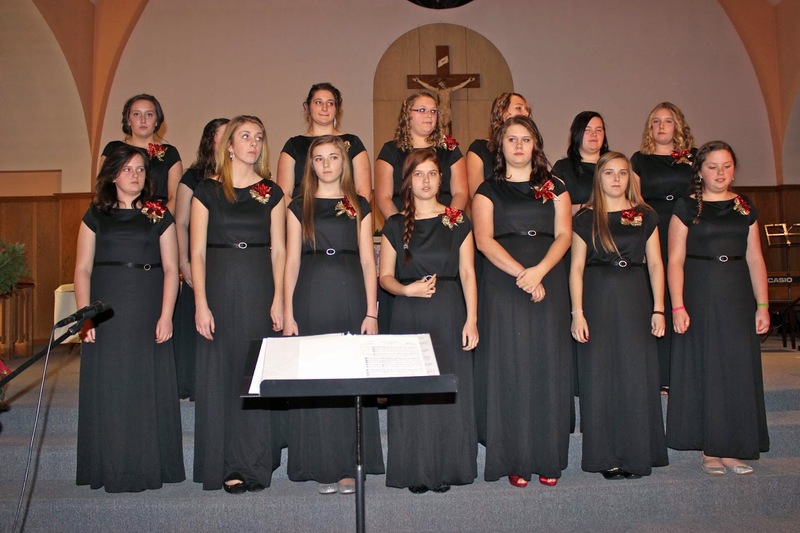 This year, Blackville School Girls’ Choir, and the Blackville School Elementary Choir will be featured in the “Christmas Memories in Music.” This concert will take place on Saturday, December 14 at St. Bridget’s Church in Renous at 7:00 pm. Other featured musicians and musical groups consist of Ian Craig, St. Raphael’s Choir, Aaron and Hannah Johnston, and many more. Tickets are $10 and can be purchased at the Blackville School, Circle K, or Renous Convenience. All proceeds will support the Blackville School Music program, and the Blackville School Breakfast program. Organizer are inviting everyone to come out for a great evening of Christmas music and show your support for community programs. 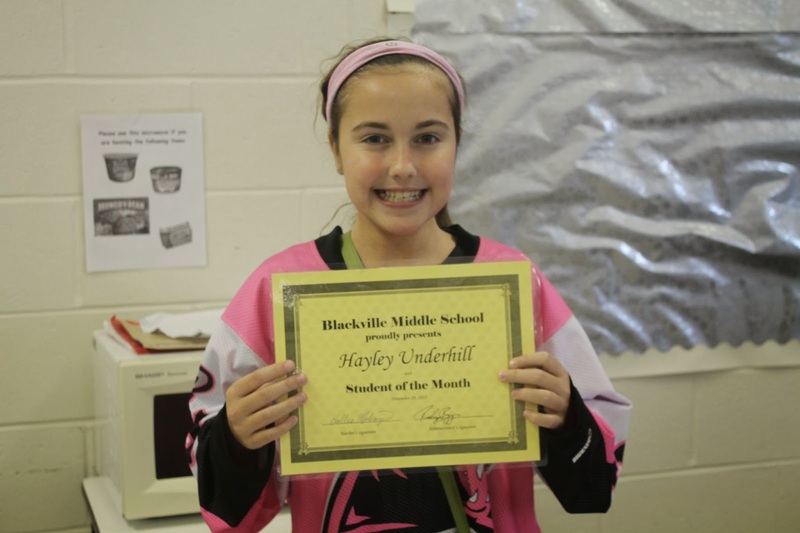 Student of the month for Ms. McEvoy's homeroom class is Hayley Underhill. 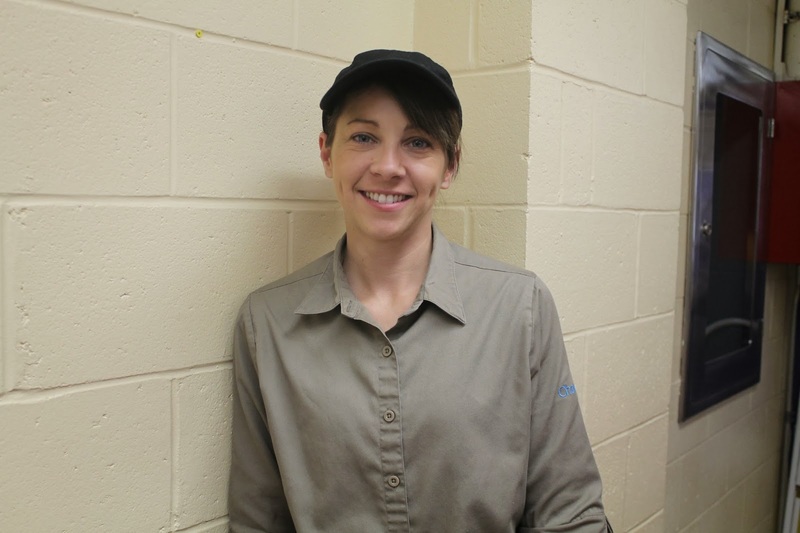 Hayley was chosen because she is a hard worker, and is especially kind and helpful. She shows leadership skills, outstanding effort and shows lots of respect for others. 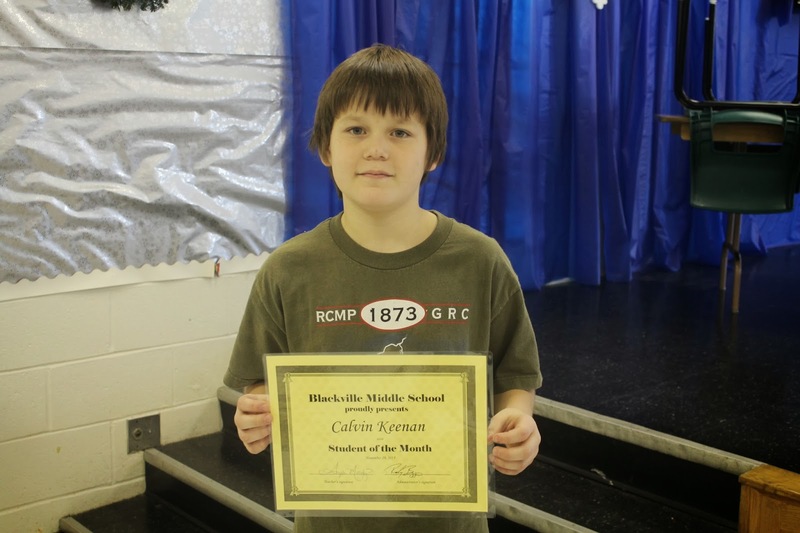 Calvin Keenan was chosen as student of the month for Mrs. Moody's homeroom class. Calvin is hard working, has academic achievement and shows outstanding effort. 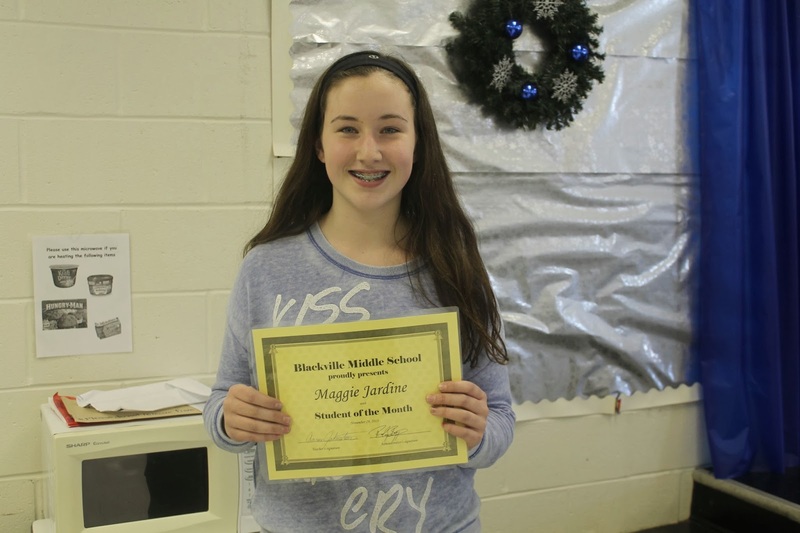 Student of the month for Mr. Johnston's homeroom class is Maggie Jardine. Maggie was chosen because she is hard working, shows leadership skills and outstanding effort. 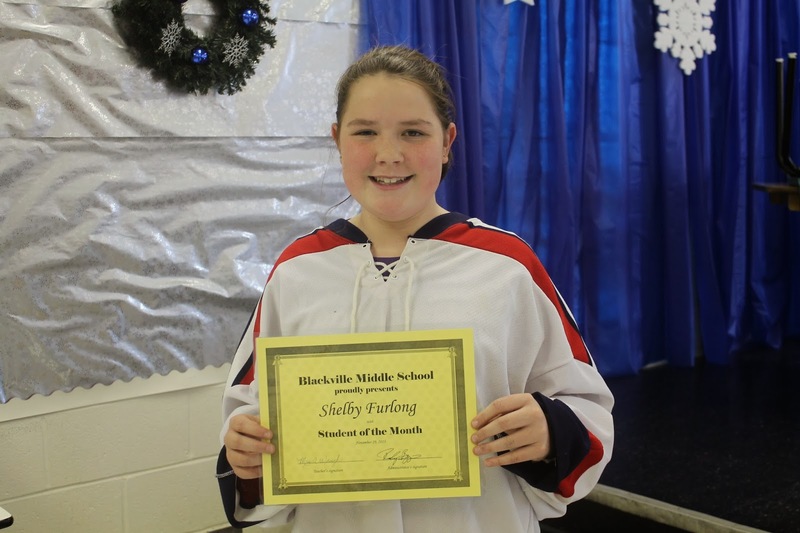 Shelby Furlong was chosen as student of the month for Mrs. Waugh's homeroom class. Shelby was chosen because she is always helping others. 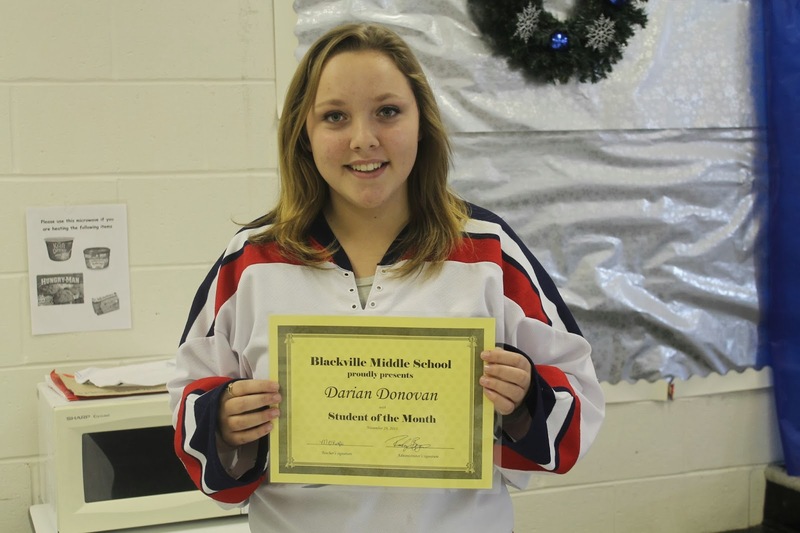 Student of the month for Mrs. O'Keefe's homeroom class is Darian Donovan. Darian is very hardworking; she sometimes finds work hard but does extra to understand. She is making very good grades because of her effort. Darian is especially kind and helpful and also showed leadership skills by laying the wreath for Remembrance Day. 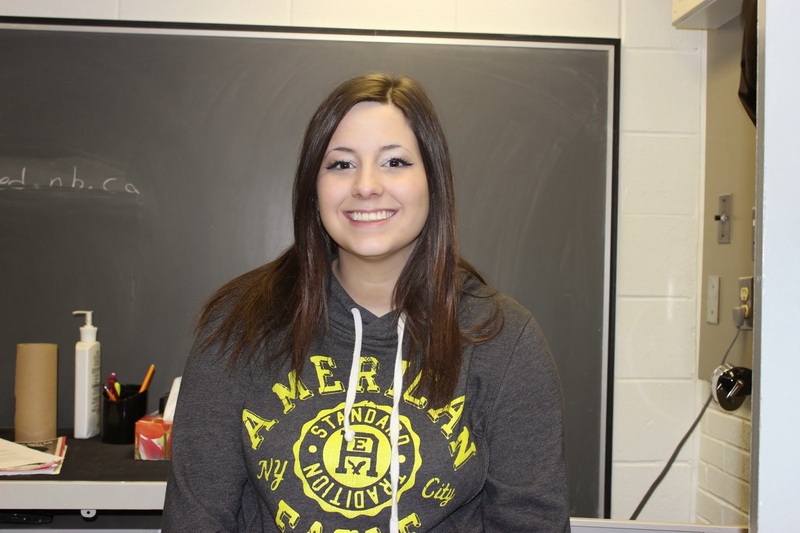 Mikayla MacDonald was chosen as student of the month for Mrs. Steeve's homeroom class. Mikayla is hard working, especially kind and helpful, shows respect for others and is very thoughtful. Authors Valerie Sherrard and Peter D. Clark visited Blackville School over the past two weeks. 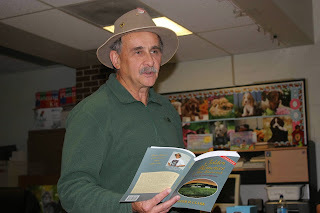 Valerie Sherrard visited with students on Tuesday, November 19 and Peter D. Clark visited on Thursday, November 28. 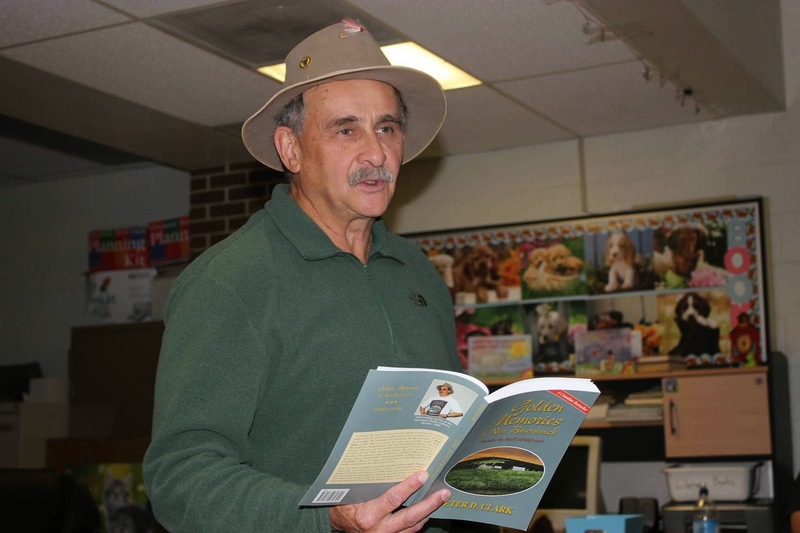 Check out the "School's In" podcast feature below where hosts Candace Purcell and Kyla Coughlan sit down to speak with Mrs. Sherrard about her books and the writing experience.